As an oncology patient, it is easy to think that cancer is the center of the scientific and medical universe. 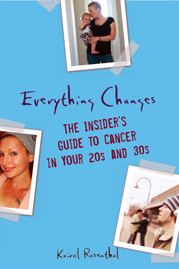 But as Laurie Edwards describes in her new book, In the Kingdom of the Sick, “Now more than 133 million Americans live with chronic illness, accounting for nearly three-quarters of all health care dollars.” I believe the cancer community can learn a lot from patients, advocates, and activists living with other types of disease. So, I was thrilled when Laurie wanted to interview me on this topic for her new book, which describes through research and stories the social history of chronic illness in America. Looking back to AIDS activists in the 1980s and 1990s, I am astounded by the efficacy of their political action. And what’s more, their illness was considered a gay disease. If you think it is hard being a cancer patient advocating for oncology research in the twenty-first century, try being a gay man with AIDS in the 1980s when you were blamed for your disease and seen as a physical threat to the population at large. Amid this social climate, the AIDS community was still incredibly successful in their fight for research funding and access to treatment and care. The cancer community’s advocacy tactics are waged mostly through consumer driven battles rather than by policy or political fights, and our engagement focuses on individual responsibility instead of community action. We ignore how to leverage our political strength to solve big problems in the cancer community. I can hardly think of another advocacy group in the United States that has as many constituents as that of cancer survivors and their friends and families. Clearly, we can get our loved ones on board to sponsor us in walks and races. But could we get them on board to put pressure on their congressional representatives to guarantee access to chemotherapy for every American who needs it? We don’t know because we have barely even tried. If you want a different take on how an organized community can tackle their health care problems, start to learn about what AIDS activists were doing in the 1980s and 1990s. Spend an hour or so reading ACT UP’s historical timeline documenting the AIDS movement beginning in 1987. It is a pretty astounding read. 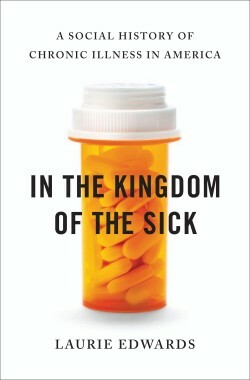 Also be sure to check out In the Kingdom of The Sick, by Laurie Edwards, which is being release today and available wherever books are sold. As a long time cancer caregiver, I am stunned beyond words that our enormous numbers add up to little more than pink ribbon campaigns. At the same time, I rarely discuss my situation with anyone. It’s just so damn depressing. I struggle enough with depression that I am extremely wary of doing anything to exacerbate it. Frends and family don’t understand and don’t want to – I can’t blame them. If they understood, they would be risking depression too. The AIDS activits seemed to draw a fighting spirit from the way they were so mistreated ? I don’t know. I do know that we need much much more- awareness of chronic pain issues, less than effective diagnostics, caregiving issues, disability and income issues. Aargh!